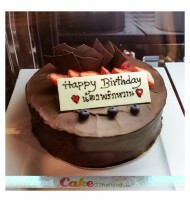 Order Cake & Send Cake Bangkok Cake Thailand Cake Birthday Cake Bangkok. 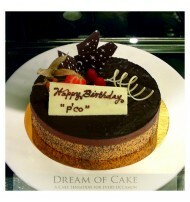 Royal Chocolate Cake by Dream of Cakes Bangkok. 2 pounds serving 6-8 people. Special recipe from our shop. Only the finest quality chocolatre imported from Belgium is used to create this incredible cake. Each cake delivery online arrives in an elegant gift box and includes a greeting card on which you can provide a personal message to your recipient. 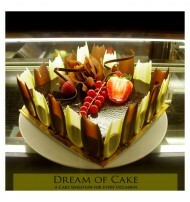 Layered Coffee Cake decorated with almond and strawberries by Dream of Cakes Bangkok. 1.5 pounds - Serving 6 people. Special recipe from our shop. This cake is sure to be impressed. Each cake delivery online arrives in an elegant gift box and includes a greeting card on which you can provide a personal message to your recipient. 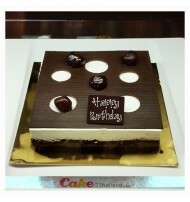 Black Forest Cake by Dream of Cake Bangkok. Serving 6-8 people. Special recipe from our shop. Presented in a beautiful gift box. Free Delivery in Bangkok and surrounding area. 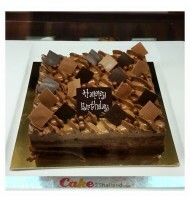 Only the finest quality chocolatre imported from Belgium is used to create this incredible cake. Mont Blanc Cake 2 pounds serving 6-8 people. 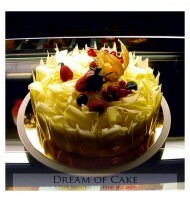 A special recipe from Dream of Cakes. It is a nice cake for tea break. Presented in a beautiful gift box. Sure to be impressed. Free delivery in Bangkok and surrounding area. Only the finest quality chocolate imported from Belgium is used to create this incredible cake. 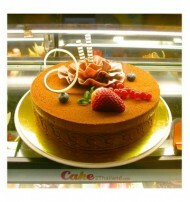 Opera Cake (Chocolate) 2 pounds servings 6-8 persons. 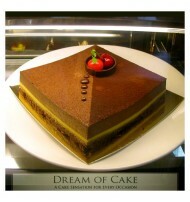 Chocolate Opera Cake a special recipe from Dream of Cakes The Bangkok Bakary. This cake is sure to be impressed. Free delivery in Bangkok. Each cake delivery online arrives in an elegant gift box and includes a greeting card on which you can provide a personal message to your recipient. 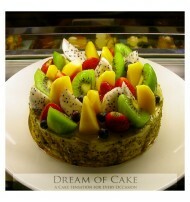 Green Tea Cake & Fresh Fruits by Dream of Cakes Bangkok. 2 pounds - Serving 6-8 people. 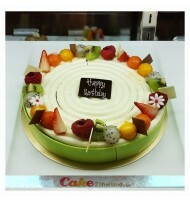 Cake Base- green tea sponge cake, Filling - fresh cream, Topping ? fresh?seasonal fruits. Each cake delivery online arrives in an elegant gift box and includes a greeting card on which you can provide a personal message to your recipient. Chocolate Cake with Extra Chocolate decorated with milk chocolate shavings and fresh straberries and blueberries by Dream of Cakes Bangkok. 2 pounds serving 6-8 people. Free delivery in Bangkok. Only the finest quality chocolate imported from Belgium is used to create this incredible cake. 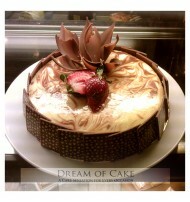 Marble Cheesecake by Dream of Cakes Bangkok. 2 pounds - Serving 6-8 people. Each cake delivery online arrives in an elegant gift box and includes a greeting card on which you can provide a personal message to your recipient. All baked goods are made with organic ingredients and MADE TO ORDER, guaranteeing 100% freshness! Strawberry Japanese Shortcake by Dream of Cakes Bangkok. 2 pounds - Serving 6-8 people. Our Strawberry Japanese Shortcake is the ultimate temptation with its creamy texture and sweet taste. Vanilla cake arrives topped with fresh strawberries. Each cake delivery online arrives in an elegant gift box and includes a greeting card on which you can provide a personal message to your recipient. 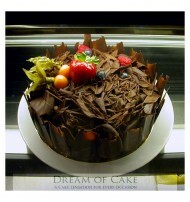 Chocolate Cake 3 pounds by Dream of Cakes Bangkok - A chocolate cake with fresh fruit. Serving 10-12 people. Each cake delivery online arrives in an elegant gift box and includes a greeting card on which you can provide a personal message to your recipient. 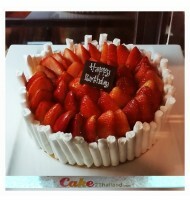 Strawberry Charlotte Cake 2 pounds is very cute with a lot of fruits on it. 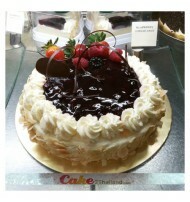 This cake is available in Bangkok and surrounding areas such as Nonthaburi, Pathum Thani, and Samut Prakan. However, there may be additional shipping charges for orders that delivery out of Bangkok. 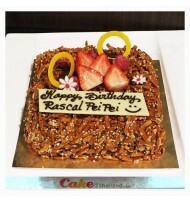 Royal Chocolate Crunchy Cake decorated with chocolate mousse, crispy praline and chocolate cutouts. We only use top-quality chocolate to make this cake. 1.5 pounds - Serving 6 people. Each cake arrives in an elegant gift box and includes a greeting card on which you can provide a personal message to your recipient. 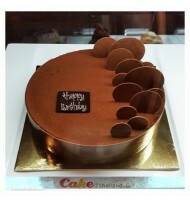 Tiramisu Cake 2 decorated with chocolate cutouts by Dream of Cakes Bangkok. 1.5 pounds - Serving 6 people. Each cake arrives in an elegant gift box and includes a greeting card on which you can provide a personal message to your recipient.